Chris Wendt graduated as Diplom-Informatiker from the University of Hamburg, Germany, and subsequently spent a decade on software internationalization for a multitude of Microsoft products, including Windows, Internet Explorer, MSN and Windows Live – bringing these products to market with equal functionality worldwide. 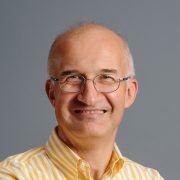 Since 2005 he is leading the program management team for Microsoft’s Machine Translation development, responsible for Microsoft Translator services, including Bing Translator and Skype Translator, connecting Microsoft’s research activities with its practical use in services and applications. He is based at Microsoft headquarters in Redmond, Washington.